I believe I wrote that "Marvel UK ESB strips" article. I did a few pieces for Holocron, including a short story. 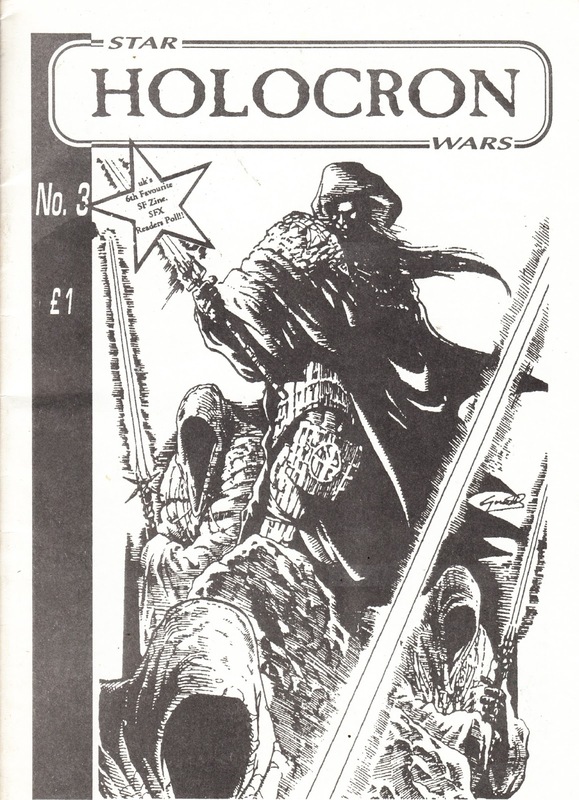 Funny enough, I ended up writing Star Wars comics some years later, when the UK (this time through Titan Magazines) finally commissioned original material again. Krusty, would that be for the uk star wars mag which began in 1996 ? I don't suppose you could tell us your real name, then I could look for you in the mag. I also originated the short-lived humour strips therein. thanks rik, oops I was a bit off target in my guess as your work was more recent. I have all of those issues so I really must have a good look for your strips. I wrote around 20 or so stories for the magazine before Titan lost the license, and they're still being reprinted in the current Egmont magazine. One of my stories, "Suited", was reprinted as a promotion with the Sun which meant it reached an especially large audience. I found the issues from 2014 , one of them had an ad for HAYNES who published manuals on star wars. The company has recently announced they are downsizing. Not sure if I have that story from The Sun. So the strips in STAR WARS ADVENTURES are re-prints ? I'll check for the vol.6 strips later. The HOLOCRON articles looking nvm at the Marvel UK strips were a great read. They are the main reason I kept my copies all this time. Good job. I also had no idea that Titan had originated any STAR WARS strips in the UK. Was there a shortage of US strips appropriate for the audience? Or did they just fancy making their own contribution to the saga? Thanks for the kind words, hopefully I'm not misappropriating the Marvel UK articles. I don't have any great insights into why Titan began to commission original material. I'd speculate, and this is only speculation, that they were pushing for more self-contained material* rather than serializing the Dark Horse reprints (*ironically, I think I was the only writer who started doing linked two-part stories in the format). Titan also repackaged the material in the US as well as selling it to Europe--I picked up a French reprint of one of my stories while honeymooning in Paris!--so I'd imagine there was some financial gain in originating the material, too. slow, any chance of scanning those articles ? it did strike me as unusual at the time that those strips were not usa re-prints. and yet in a kind of reversal , they were re-printed in the usa.